Yeasts are tiny fungi – but they play key roles in producing everything from beer and cheese to industrial chemicals and biofuels. 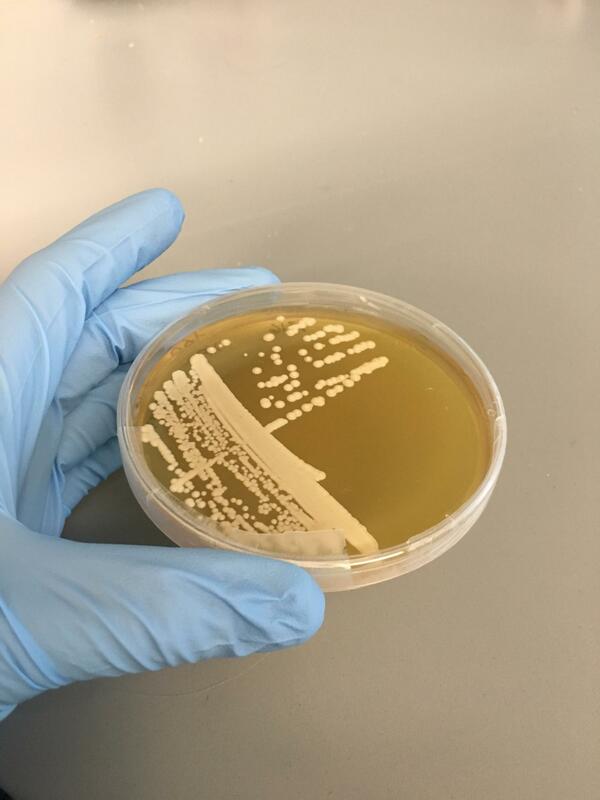 And now scientists are proposing a new approach that could help these industries find new yeasts for use in their manufacturing processes. The strategy, which focuses on the relationships between yeasts and insect species, is laid out in a paper published March 21 in the Proceedings of the Royal Society B: Biological Sciences. The paper reviews the available research to see how our understanding of insect-yeast ecology could inform the search for industrially relevant yeasts, looking specifically at insects that feed on sugars, such as beetles, wasps, bees and fruit flies. "Based on our analysis of the research, we propose that insects and yeasts have developed mutually beneficial relationships," says Anne Madden, a postdoctoral researcher at NC State University and corresponding author of the paper. "Yeasts feed on sugars, as do some insects," Madden says. "Broadly speaking, we think insects are drawn to the smell of yeasts, because that means sugars are nearby. When the insects arrive to feed, they inadvertently pick up some of the yeasts that are present. When the insects then move on to another sugar source – nectar in a flower, or rotting fruit – they take those yeasts with them. Some of those yeasts are deposited in a new environment where sugars are also present. While the bulk of the available research focuses on individual yeasts or insect species (like fruit flies), our overarching review of the literature finds that this mutually beneficial phenomenon likely holds true for many different insect species and for many types of yeast. "This is important because yeasts are used in many industrial applications," Madden says. "The yeast market is valued at more than $3 billion, with yeasts being used in diverse fields like food and beverage, biofuel, and feed additives. While many industries rely on yeasts, we have very few yeast species in industrial use. "There are at least 1,500 yeast species out there and we think that understanding insect ecology, and insect relationships with yeast, can help us identify better yeasts that have value for the industrial sector," Madden says. "Not just diversifying the species in use, but finding strains that are well suited to particular applications." For example, industries are interested in yeasts that can produce fruity and floral esters, or aromas. These are some of the same traits that make yeasts attractive to insects. "Many of the yeasts we've already found in insects are particularly good at naturally producing these honey and rose aromas," Madden says. The researchers also note that, in addition to helping big business, further study of these relationships would also inform our understanding of the ecology and evolution of both insects and yeasts. The paper, "The ecology of insect-yeast relationships and its relevance to human industry," was co-authored by Rebecca Irwin, an associate professor of applied ecology at NC State; John Sheppard, a professor of bioprocessing science at NC State; Magdalena Sorger, a postdoctoral researcher at NC State; Rob Dunn, a professor of applied ecology at NC State; Mary Jane Epps, of Mary Baldwin University; and Tadashi Fukami of Stanford University. The work was done with support from the National Science Foundation under grant 1319293.